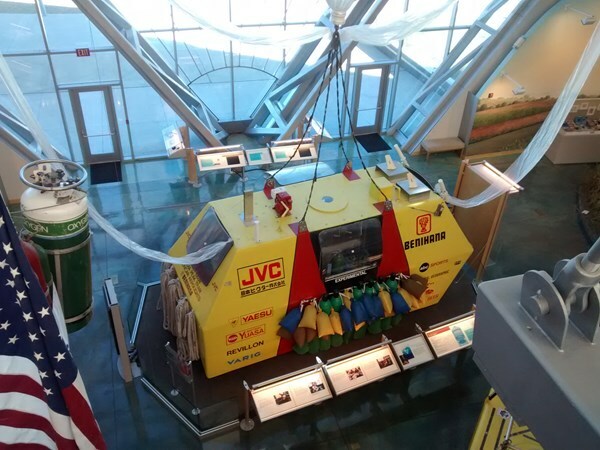 The Anderson-Abruzzo Albuquerque International Balloon Museum is a museum dedicated to the worldwide history, science, and art of all types of ballooning and lighter-than-air flight. This description uses material from the Wikipedia article on Anderson-Abruzzo Albuquerque International Balloon Museum and is licensed under the Creative Commons Attribution-ShareAlike License (view authors). This is the actual Double Eagle V gondola, the first balloon to traverse the Pacific Ocean (1981). The museum has a number of very cool exhibits including some hands on for the kids. This was my first visit but not my last.